Summary. This article describes reception and accommodation service as an integral part of the hotel industry, which aims to meet the needs of hotel guests. The basic level of quality control of the reception and accommodation service and basic teaching methods in this service. The concept of quality management system as one of the instruments to improve service quality. Key words: quality, control system by quality, hotel industry, service of reception and accommodation. Formulation of the problem. One of the important problem of the hotel economy of Ukraine for today is development and implementation of a quality management system (QMS) . Availability of QMS remains an important tool in competitive struggle on the market of hotel services . The complexity of the assessment of hotel and restaurant services (HRS) is largely caused by difficulties of formalization, generalization and analysis of evaluation criteria, and definition of methods of their measurement [1, 3]. Therefore qualimetric methods are most often used for setting quality service parameters [1, 4-10]. Development of elements of the QMS of reception and accommodation services (RAS) is needed to improve the technical level and quality of services HRS with further reduction of expenses and saving of material and labor resource. Implementation QMS and standardization of RAS works are relevant because it allows the most efficient to do the work each participant in the process and to simplify the control over the quality of the work performed. Analysis of recent research and publications. A lot of scientific works are devoted to the development of quality [4-10] and QMS in RAS including . The purpose of the article is to develop the elements of QMS for RAS in the hotel industry at presence improving the technical level of service quality, and reducing costs and saving material and technical resources. The main results of the study. RAS in the hotel industry is one of the most important services at the hotel which provides the sale of a room stock and collecting data on its use; reception of guests, their registration, issuance of keys and placement; creating and managing guest cards; processing of booking orders (if the hotel does not have a special unit); any information that interests the guests; preparation of payment documents for services and final settlements with guests; coordination of all types of services provided to guests. RAS combines the functions of units previously performed by the Front desk or reception, Cash operations department, Night auditor, Information and mail department, Private branch exchange, Reservation department. Development and implementation of QMS of RAS (accordance with the requirements [11-13]) provides for a set of organizational structures, techniques, processes and resources which required to implement the overall quality management of RAS. Necessary processes for development QMS should cover areas related to management, as well as resource supply. At the first stage, a decision is made to create an QMS, quality policy is determined, quality service is being formed, the main stages, performers, terms of development and implementation is establishing. Preparatory work is underway to create the organizational structure of the QMS in the main stages of the creation and development of the QMS documentation complex. The organizational structure of RAS management is illustrated by the scheme (fig. 1) which describes the main obligations of managers and performers of the organization that ensure the functioning of the QMS. The development of the QMS of RAS document provides availability of necessary documentation for the proper functioning of the QMS and the quality assurance of products and services (fig. 2). The most typical types of quality documents are standards, procedures, techniques, instructions, quality assurance programs, current documentation. Duties and powers of RAS staff and responsibility for fulfilling the stated duties are reflected in the position «About RAS» (P-1-1/0-18) and job descriptions: «Official instruction of the head of the RAS service» (JD-1-1-2/0-18), at presence implementing the general management of the production and economic activities of the service; «Official instruction of the manager of the RAS service» (JD-1-1-2/0-18) at presence implementing the management functions of the service; «Official instruction of the RAS administrator» (JD-1-1-3/0-18) at presence registration of guests, accommodation of guests by numbers, reception of payment for hotel services; «Official instruction of the night auditor» (JD-1-1-4/0-18), at presence Revision of accounting documents and reporting, assessment of its reliability, as well as internal and external control of the legality of financial transactions compliance with their legislative and regulatory legal acts, observance of the established procedure of taxation; «Official instruction of the receptionist» (JD-1-1-5/0-18), at presence control over the timely preparation of rooms for the reception of guests, conducting a magazine and books giving alternation, provision of storage, delivery and reception of keys from hotel rooms; «Official instruction of the booking operator» (JD-1-1-6/0-18), at presence booking reservations at the hotel by phone and fax; «Official instruction of the concierge» (JD-1-1-7/0-18), at presence reservation of places in restaurants, tickets reservation for air, land and water passenger transport, and theatrical tickets and tickets for various cultural events, at presence providing information and reference services; «Official instruction of the Bearer» (JD-1-1-8/0-18), at presence carrying out services for passengers for the transfer of luggage and hand luggage. Responsibility and authority of the employees in managing the processes of QMS in RAS is distributed according to the matrix (Table 1). Method of performance standards is used for checking level of skills of employees. It allows to evaluate the achievements of employees at the level of their duties, which is considered the norm for this process. Special rules are developed to assess the quality of work of RAS staff, which is supervised by the head of the service and the manager, regarding the development of procedures and schemes for reception, accommodation and service of guests; conducting briefings, training sessions; distribution of tasks among RAS staff, material and technical provision of jobs. Ways and methods of reception and accommodation of the guests are constantly improved and developed, but the main criterion for assessing the work of the RAS remains impeccably clear ability to navigate information on occupancy and the status of hotel rooms, polite and clear communication with guests of the hotel, providing quick, concise help to the residents and guests of the hotel, correct and skillful handling of electronic materials and hotel cards. Professional educational trainings are being held by service management for optimize the methods of work of the RAS and the compliance of the service with the world standards. For this a plan for the monthly training of staff is developed, which is mandatory for employees. All participants in the training are tested on the results of each vocational training. The RAS personnel is trained and certified for knowledge of labor protection requirements. The results of the attestation are displayed in the safety briefing journal (J-1/1-18), which is in the labor protection engineer. Familiarization and registration on fire safety issues are reflected in the journal on the passage of instructions on fire safety (J-1/1-18). Each employee of the SPR management structure carries out the functions assigned to him, guided by his job description. Head of RAS provides direct management of production processes in RAS, placement of working personnel, complete and timely performance of the production task, fixing the parameters of processes. Manager of RAS develops procedures and schemes for reception, accommodation and service of guests, holds briefings, studies lessons, issues instructional materials, distributes tasks among the employees of the service, brings the decisions made to them, determines the degree of their responsibility, develops a system of motivation and disciplinary responsibility of the personnel, carries out control over the organization of working places of subordinates, material and technical provision of workplaces. In turn, the administrator implements the meeting and the guests' greetings; registers guests; hosts the rooms; supports and maintains information databases Reception and accommodation; provides assistance to hotel staff in solving problems arising in the course of work; manages conflict situations (in case of their occurrence). An equally important worker in RAS is a night auditor, which conducts the analysis of financial activity of the enterprise; carries out an audit of accounting documents and reports, assesses its authenticity, as well as internal and external control of the legality of financial transactions, compliance with their legislative and regulatory legal acts, observance of the established procedure of taxation; provides the necessary recommendations to prevent miscalculations and mistakes that may lead to penalties and other sanctions, reduce profits and adversely affect the reputation of an enterprise, institution or organization. The carrier keeps track of the number of hotel rooms, draws up a residence permit for citizens upon presentation of a passport or other identity document, accepts and draws up the necessary documents; carries out control over the timely preparation of numbers for the reception of citizens; maintains documentation on the established forms; carries out control over compliance with living rules of hotel use; monitors the timely payment for accommodation and provided services without admitting debt. The booking operator gives the guest oral and written information on the placement and sale of rooms in the language of the client, answers the questions of the client within the scope of their work; carries out advance booking of places in the hotel by phone and fax, carries phone calls (incoming and outgoing calls, call diverting, standby, receiving and sending telephony). The concierge follows standards and procedures for receiving guests; welcomes guests, fulfills all their wishes; responds to phone calls in accordance with service standards. The carrier provides services for the movement of luggage and hand luggage; inform about the location of office and other premises of the hotel; delivers mail from transit ships, airplanes and trains. The main document of the QMS is the quality guidance – the QMS procedure (PQMS-1-1/0-18 «Manage processes in the reception and placement service»), which establishes the order (sequence) of the activity of the RAS service in the structure of the QMS, which meets the requirements of State Standard of Ukraine ISO 9001: 2015  (Table. 2). Works in RAS require clear coordination with other departments of the hotel: Housekeeping service, engineering service, food service, which includes a restaurant, kitchen, banquet service, room service, security service, commercial department, accounting department and inventory department. Conclusions. We can conclude that the implementation of QMS in RAS allows continuous improvement and optimization of the unit's work, as well as providing conditions for the formation of competitive services and improving their efficiency. Ability to provide services that not only satisfy the requirements of the consumer, but also exceed their expectations - this is the most important indicator of the competitiveness of any organization. Кількісна оцінка якості готельного продукту: монографія / [В.Г. Топольник, А.П. Бутова, І.В. Кощавка та ін. ]; ред. : В.Г. Топольник; Донец. нац. ун-т економіки і торгівлі ім. М. Туган-Барановського. – Донецьк: ДонНУЕТ, 2013. – 207 с.
Ринок продовольчих товарів України: Реалії та перспективи : монографія в 2 т. / кол. авт. О.О. Шубін, О.М. 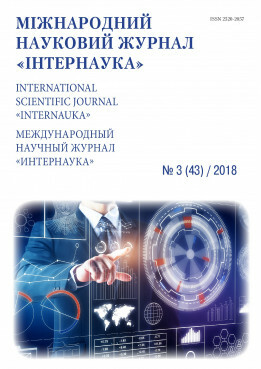 Азарян та ін., за наук. ред. О.О. Шубіна, М-во освіти і науки, Донец. нац. Ун-т економіки і торгівлі ім. Михайла Туган-Барановського. – Донецьк. [ДонНУЕТ], 2010 – Т.1. – 520 с.
Розвиток готельної індустрії в Україні / [Д.А. Макалендра, Д.Ю. Білоусов, О.В. Лівар, О.В. Кузьмін] // Наукові праці НУХТ, 2016. т. 22, №4. – С. 61-75. Розробка методу комплексної кількісної оцінки якості бісквітних напівфабрикатів / [Кузьмін О.В., Комарницький Р.В., Губеня В.О., Дочинець І.В.] // Наукові праці Національного університету харчових технологій. – К.: НУХТ, 2017. – т. 23, №2. – С. 191-199. Топольник В.Г. Розробка методу кількісної оцінки якості спирту в лікеро-горілчаному виробництві / В.Г. Топольник, Н.Б. Федорова, О.В. Кузьмін // Вісник ДонДУЕТ. – 2006. - №1(29). - Технічні науки. – С. 111-118. Топольник В.Г. Залежність показників якості технологічної води в лікеро-горілчаному виробництві від пори року / В.Г. Топольник, О.В. Кузьмін, А.Р. Баятян // Вісник ДонДУЕТ. – 2007. - №1(33). - Технічні науки. – С. 138-143. Топольник В.Г. Комплексна кількісна оцінка якості горілки, виготовленої на спиртах різного класу / В.Г. Топольник, О.В. Кузьмін // Вісник ДонДУЕТ. – 2009. – № 1 (41). – Технічні науки. – С. 135-140. Кузьмін О.В. Розробка методу кількісної оцінки якості води для лікеро-горілчаного виробництва / Кузьмін О.В. // Вісник ДонДУЕТ. – 2004. - № 1 (21). – Технічні науки. – С. 71-75. Топольник В.Г. Розробка методу кількісної оцінки якості активного вугілля для обробки водно-спиртованої рідини в лікеро-горілчаному виробництві / В.Г. Топольник, О.В. Кузьмін // Вісник ДонДУЕТ. – 2005. -№ 1 (25). – Технічні науки. – С. 46-50. ДСТУ ISO 9001-2015. Системи управління якістю. Вимоги [Чинний від 2016-07-01]. – К.: УкрНДНЦ, 2016. – 31 с. – (Національний стандарт України). ДСТУ ISO 9000:2007. Системи управління якістю. Основні положення та словник термінів [Чинний від 2008-01-01]. – К.: Держспоживстандарт України, 2008. – 29 с. - (Національний стандарт України). ДСТУ 4268:2003. Послуги туристичні. Засоби розміщування. Загальні вимоги [Чинний від 2004-07-01]. – К.: Держспоживстандарт України, 2004. – 9 с. - (Національний стандарт України).